Debit and Credit note for treatment of patient(Railway Medical Beneficiary) to other Railway Hospital with or without referral_Simplification of process. Subject : Debit and Credit note for treatment of patient(Railway Medical Beneficiary) to other Railway Hospital with or without referral_Simplification of process. Subject : Payment of Conveyance Allowance to IRMS Doctors-reg. Subject : Viewing facility of the status of Revision of PPOs as per 7th CPC by the Railway Pensioners. Subject : Child Care Leave(CCL)-Clarification reg. 'Basic Life Support Training' to Front Line Staff from a Certified Agency. Subject : 'Basic Life Support Training' to Front Line Staff from a Certified Agency. Complimentary Card Passes(CCPs) to "Tenzing Norgay National Adventure Awardees" (TNNA Awardees). Subject : Complimentary Card Passes(CCPs) to "Tenzing Norgay National Adventure Awardees" (TNNA Awardees). 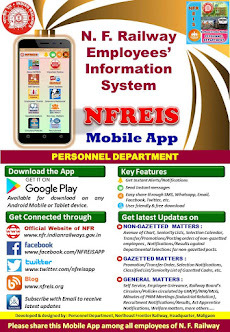 Pan-India implementation of 'Railkarmi" App-A single window system for addressing all establishment related needs of Railway employees and their grievance redressal. 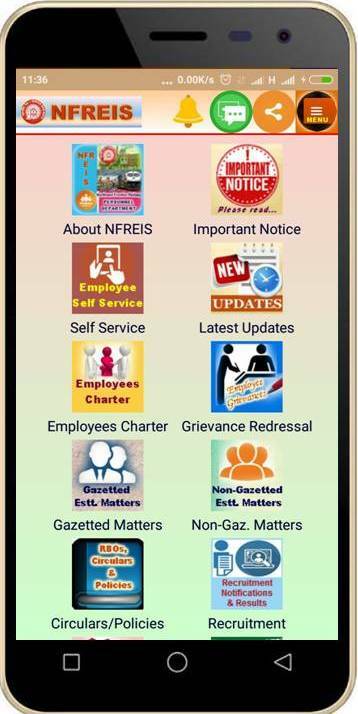 Subject : Pan-India implementation of 'Railkarmi" App-A single window system for addressing all establishment related needs of Railway employees and their grievance redressal. Subject : COMPTRAN-Common Portal for Transfers. General Departmental Competitive Examination - Consolidated instructions-reg. Subject : General Departmental Competitive Examination - Consolidated instructions-reg. Subject : Timely filling up of vacancies by General Departmental Competitive Examination (GDCE) and Limited Departmental Competitive Examination (LDCE). Contribution to Prime Minister National Relief Fund (PMNRF) - Kerala Floods. Subject : Contribution to Prime Minister National Relief Fund (PMNRF) - Kerala Floods. Introduction of Child Care Leave in respect of Railway Servants-Clarification regarding. Subject : Introduction of Child Care Leave in respect of Railway Servants-Clarification regarding. Child Cara Leave in respect of female railway employees as a result of Sixth Central Pay Commission Recommendations-Clarification regarding. Subject : Child Cara Leave in respect of female railway employees as a result of Sixth Central Pay Commission Recommendations-Clarification regarding. Entitlement of Casual Leave to Railway Employees drawing SDA in N.F.Region. 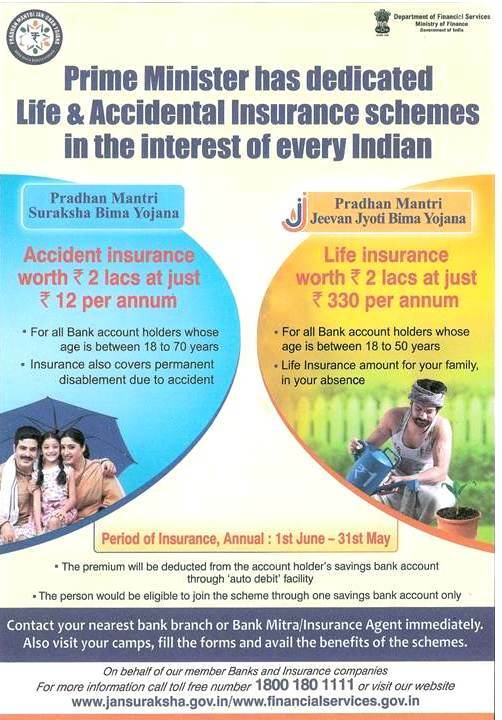 Subject : Entitlement of Casual Leave to Railway Employees drawing SDA in N.F.Region. Subject : Recommendations of the Seventh Central Pay Commission- (7th CPC) Implementation of decision relating to the grant of Children Education Allowance(CEA) and Hostel Subsidy- Consolidated Instruction. Subject : Half day holiday on 17th August, 2018 – Demise of Shri Atal Bihari Vajpayee, Former Prime Minister of India. Revised rate - Recovery of replacement cost of Gold Metal Passes in case of loss. Subject : Revised rate - Recovery of replacement cost of Gold Metal Passes in case of loss. Video Film on "Security of Women & Children"
Shri Sanjive Roy, General Manager, N. F. Railway inaugurated the video film on "Security of Women & Children" prepared by the Security Department (RPF) along with Cultural Team of N. F. Railway, Maligaon on the occasion of celebration of 72nd Independence Day - 15th August, 2018 organized in front of GM's Office, Headquarter, Maligaon. Travel entitlement of DGs & GMs who have been granted Apex Scale of Rs 80,000/-(VI-CPC) and placed in Level 17th CPC. Subject : Travel entitlement of DGs & GMs who have been granted Apex Scale of Rs 80,000/-(VI-CPC) and placed in Level 17th CPC. Clarification regarding availability of option for fixation of pay from the date of next increment (DNI) under MACPS. Subject : Clarification regarding availability of option for fixation of pay from the date of next increment (DNI) under MACPS.